Lillypilly Estate was established in Leeton in southern New South Wales in 1972. The Fiumara family began their life in Australia in the 1950's, growing and selling fresh fruit and vegetables. Seven brothers worked with their father and mother to build a strong family business. Robert Fiumara, the sixth son, developed a love of winemaking, inspired by his father Pasquale and eldest brother Domenic, and went on to graduate from University. Robert's philosophy is to develop a range of high quality wines and to continue the tradition of the family business. In 1982, Robert created his first wine and that year’s Tramillon®, won a Trophy and Gold at the 1983 Royal Sydney Wine Show with this unique blend. The grapes are grown and crushed, and the wine fermented and bottled at the family winery. Lillypilly now has a diverse range of wines from dry to sweet, including dessert and fortified wines. 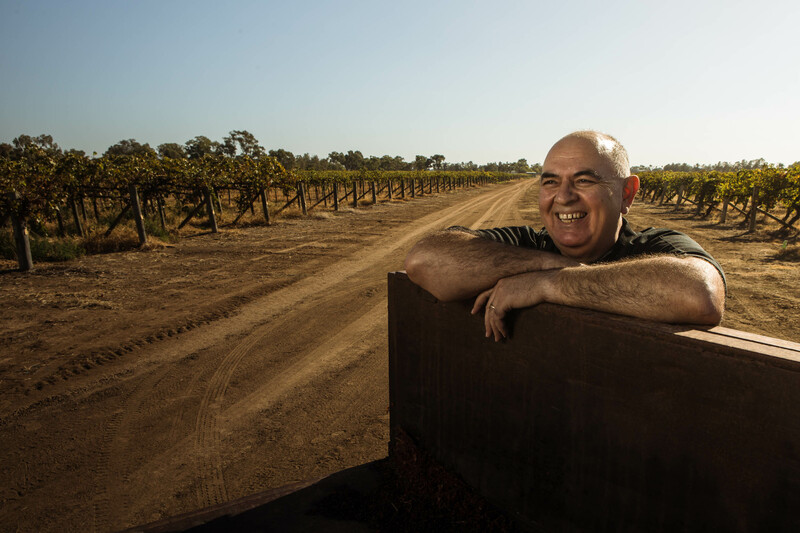 Robert has won over 1000 awards and his passion for wine continues to enable him to capture the Riverina region's unique climate and flavours in a bottle. The semi-arid climate that prevails in the Riverina softens towards the end of autumn with cool nights, and mornings made damp by fog and dew. These are perfect conditions for the development of botrytis fungus on the grapes, and the production of sweet white botrytis wines. The climate is one of the strengths of the Riverina region, helping to make it an ideal wine grape region in Australia, and the main factor in making it one of the best producers of botrytis [Noble Rot] wines in the world. Lillypilly currently offers serveral vintages of Noble Blend, along with a range of red and white wines including Tramillon® and Red Velvet®, which are both unique to our winery. But, as every farmer knows, each year is different and each year is a challenge as we try to produce the best crop while relying on our friend and enemy, the weather.